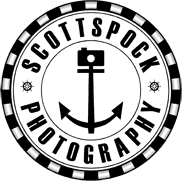 Scott Spock photography has had the pleasure of working at Newton Hall & with it’s wedding team from the start of its refurbishment. We are honoured to say we are the recommended Wedding photographer for Newton Hall and the Apartment Groups other venues. We know all the best spots to take you for your images and work hand in hand with your Newton Hall wedding coordinators to make sure your big day runs perfectly. We have enjoyed putting together the concepts of all of Newton Halls marketing & website material and are happy to say the mad ideas such as putting the bride and groom on the fireplace and the bride in the bird cage tree are down to us! So if you looking for the photographers that truly understand Newton Hall and how to use their epic scenery & rooms to their full potential then book one of our teams to cover your day. Please contact us at scott@scottspock.co.uk for the discounts we offer Newton Bride and & Grooms All package details are contained within the information on the main wedding page. Bespoke packages are also available along with a FANTASTICAL off-peak mid week package. Just email or call and we’ll give you all the information. Bring on the fun, quirky, romantic, fantastical……..